Domain Mondo's weekly internet domain news review (NR 2017-10-29) with analysis and opinion: Features • 1) ICANN60, Abu Dhabi, ICANN Board Suspends SSR2 Work, 2)Other ICANN news: a. WS2 Plenary re ICANN Jurisdiction, ... e.Will Puerto Rico Be Ready for ICANN61, 3) Names, Domains & Trademarks: Verisign $VRSN Q3 2017 results, Blockchain & Domains, ccTLD .AU, 4) ICYMI: Apple, China and Internet Censorship, 5) Most Read Posts. Sunday, Oct 29, 12:15 - 13:15 Competition, Consumer Trust, and Consumer Choice Review Team (CCT) Engagement Session: "how DNS Abuse impacts the New generic Top-Level Domain (New gTLD) Program." Sunday, Oct 29, 13:30 - 14:00 GAC Meeting with Amazon.com "The GAC will be meeting with the Amazon Company in order to discuss the Independent Review Process (IRP)"
Tuesday, October 31 • 12:15 - 13:15 Internet Governance Public Forum "This Public Session will explore and discuss the global Internet Governance agenda making reference to the outcome of the ITU WTDC and looking forward to the 2017 IGF and GCCS conference. It will also consider trends in the Internet Governance Ecosystem post the IANA Transition." Wednesday, Nov 1, 14:00 - 15:00 ICANN GDD: Update on ICANN Domain Name Registrant Work: "This session will provide the community with an update on the Domain Name Registrant work being carried out by GDD, including how information from registrants' contact with ICANN Global Support Center is used to inform the work, the registrants educational series, as well as engagement with the community." Thursday, Nov 2, 15:45 - 18:30 Public Forum #2 -- 7:45am-10:30am EDT (US) Nov 2. Nov 2: ICANN60 | Abu Dhabi: Joint Meeting: ICANN Board & SSR2 Review Team (closed meeting) Thursday, November 2 • 13:45 - 15:00. Oct 29: reaction to the Board's letter of October 28 (below) at ICANN60, ranges from shock (SSR2 Mail List) to befuddlement at the ICANN GNSO session today, as apparently no one at ICANN60 knows the specifics (other than the Board and SSAC--and so far neither is talking specifics) which caused the ICANN Board to take this unprecedented and questionable action. A key video replay from an ICANN60 session today has been hidden from the public behind a VPN sign-in which forced this complaint to be filed today.--Update Oct 30: the issue has now been fixed per ICANN Complaints Office, and I reviewed Sunday's Adobe Connect replay of the SSR2 outreach public session, but no information was disclosed relating to the Board's or SSAC's issues with SSR2. Co-Chair Denise Michel told GNSO on Sunday that the SSR2-RT had received no "actionable information" from either the Board or SSAC. Steve Delbianco: "Thank you, Steve Delbianco with the Business Constituency within ICANN … I was troubled this week when the Board under that mandate decided to pause one of the reviews, the SSR2 review, and Rinalia Abdul Rahim [ICANN Board member] today explained that in your obligation to cause a review, you certainly would want to hit pause if you had any reason to believe the review wouldn't happen according to the bylaws. And I appreciate a heads-up, if that's the case. But my question for you is: having hit pause, does the community need to come back to the board to hit the play button, to hit the resume button again? Or can we exercise the authority I think the bylaws give us to pay attention to your heads-up, your alert, but it's up to us to resolve any considerations with respect to the scope, composition, or structure and it's up to you in the ACs and SOs to determine we're going to go ahead and resume or hit the play button after you hit the pause button? So I'd love to hear your answer on this so we can get past this and move on. Thank you." Cherine Chalaby, ICANN Board Vice Chair: "Steve, thank you very much for the question. The answer is very simple. It's really the Board is backing the community's hand and it's up to you to resume when you want to resume. It's not for the board to tell you when. All we did is we fulfilled our fiduciary responsibility. We saw something wasn't working well. We raised it to you. We asked for a pause. And you then -- it's up to you to decide when you want to resume and how you want to resume." Later comment at the Forum from Jonathan Zuck (Innovator's Network): "... following on Steve Delbianco's comment, I guess I fear that he let the Board off the hook maybe a little too easily in his presentation and I really want to bring to the surface the notion that the optics of how this all went down with the SSR2 are not good ..."
ICANN FY17 Audited Financial Statements [PDF, 212 KB]--p.27: "ICANN’s President and CEO, Göran Marby, has an employment agreement with ICANN through May 2021. Pursuant to that employment agreement, Mr. Marby is entitled to an annual base salary of $653,846 and at-risk compensation of up to $196,154 – not to exceed a total of $850,000 annually per year based on the President’s and CEO’s achievement of the established performance goals." PTI FY17 Audited Financial Statements [PDF, 124 KB]. FY17 Annual Report of Expense Reimbursement and Other Payments to ICANN Directors for the Period 1 July 2016 Through 30 June 2017 (pdf) embed below. وكالة أنباء الإمارات - TRA hosts ICANN’s 60th Public Meeting | wam.ae: "The Telecommunications Regulatory Authority, TRA, will host the 60th International Public Meeting, ICANN60, of the Internet Corporation for Assigned Names and Numbers, ICANN, at the Abu Dhabi National Exhibition Centre, ADNEC, from 28th October to 3rd November 2017." a. ICANN Jurisdiction: CCWG-Accountability WS2 Plenary, Friday Oct 27, Abu Dhabi | DomainMondo.com: links to recordings, documents, chat, transcripts. The Jurisdiction Subgroup Draft Recommendations passed a successful second reading at the WS2 Plenary on Oct 27, 2017.
e. ICANN61 | San Juan: Will Puerto Rico be ready by 10-15 Mar 2018? See status.pr and FEMA.gov. 17 Oct 2017: "Over the next several months, the Puerto Rico Electric Power Authority (PREPA), United States Army Corps of Engineers (USACE), the Department of Energy, and private industry will unite to restore emergency power to Puerto Rico’s electric grid, which was heavily damaged by hurricanes Irma and Maria. Currently, only 14 percent of Puerto Rico has electricity ...."--FEMA.gov. Financials: revenue of $292 million for the third quarter of 2017, up 1.7 percent from the same quarter in 2016. Verisign reported net income of $115 million and diluted earnings per share (diluted “EPS”) of $0.93 for the third quarter of 2017, compared to net income of $114 million and diluted EPS of $0.90 for the same quarter in 2016. The operating margin was 61.9 percent for the third quarter of 2017 compared to 60.8 percent for the same quarter in 2016. 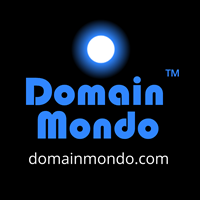 .COM and .NET: At the end of September, 2017, domain name base registrations in .COM and .NET totaled 145.8 million, consisting of 130.8 million .COM domain name registrations, and 15 million .NET. The .COM and .NET domain name base increased by 1.47 million net names during the third quarter after processing 8.9 million new gross registrations which benefited from continued strength from U.S.-based registrars. Renewal Rate: Verisign projects renewal rate for third quarter of 2017 will be 74.3%. Q4 2017 guidance: Verisign expects increase to the .COM and .NET domain name base during Q4 2017 between 0.4 million to 0.9 million registrations, consistent with a full year 2017 growth rate of 2.8% to 3.1%. New gTLD .WEB update: no new news, although there is activity, the process is ongoing. "We are continuing to cooperate with the Justice Department regarding the CID ..."--James Bidzos, Verisign CEO, October 26, 2017. • Blockchain & Domains? Undeveloped.com Oct 20--The Future Of The Domain Industry Lies In Blockchain--"... Domains are currently illiquid assets. We can change that. Anyone will be able to invest in premium domains and entire domain portfolio’s after we introduce fractional domain ownership. This can lead to the inception of the first stock exchange for domains. And that’s just the start ..."
• ccTLD .AU: auDA welcomes Federal Government review of .au domain | auda.org.au. The next step is Australia's Department of Communications and the Arts will shortly release a discussion paper seeking input from interested industry and community stakeholders with the review expected to be finalized by early 2018.--Terms of Reference for a review of the .au Domain Administration | Department of Communications and the Arts. Apple, China & Internet Censorship--US Senators Cruz, Leahy Probe Apple’s Stance on Chinese Internet Censorship:"Cruz was a lead opponent of the U.S. government’s 2016 handover of technical internet oversight to a nonprofit—out of concerns that such a move could open the door to online censorship. Cruz had questioned the role of Fadi Chehadé, former CEO of the nonprofit Internet Corporation for Assigned Names and Numbers (ICANN), in the China-organized World Internet Conference and whether that made ICANN complicit in China’s censorship practices."--BNA.com. See also: Senators press Apple to explain removal of apps in China | TheHill.com. Sky Views: China has won the internet's future | news.sky.com: "... We're edging closer to the Chinese model. Perhaps because we've realised, with the original freewheeling dream of cyberspace gone, there's not much to choose between the Chinese approach and Facebook, Google and the rest. Both models of sovereignty - rule by an authoritarian state or rule by digital platform - rely on surveillance, whether in the service of political control or of free-market capitalism. For a long time, the Chinese approach to the internet appeared to be a relic of a repressive past. These days, depressingly, it looks like the future." China's Internet Crackdown Isn't Going Away | Bloomberg.com October 19, 2017: Xi expected to secure another 5-year term at party congress, during his time as President, China has cracked down on web access, media. Making the Internet disappear | TheHindu.com: "Courts must take into account the exceptional character of Net shutdowns and their impact on civil liberties." How A Nigerian Law Is Suppressing Citizens' Freedom On The Internet | SaharaReporters.com: "... jurisdictions across the country have embraced expansive powers of the Cybercrime Act as a tool for curbing potentially critical speech of citizens on the Internet ..."